The former president is named in nine more investigations including the case of his former adviser, Rodrigo Rocha Loures, filmed by police receiving a suitcase with R$500,000, supposedly to be given to Temer. 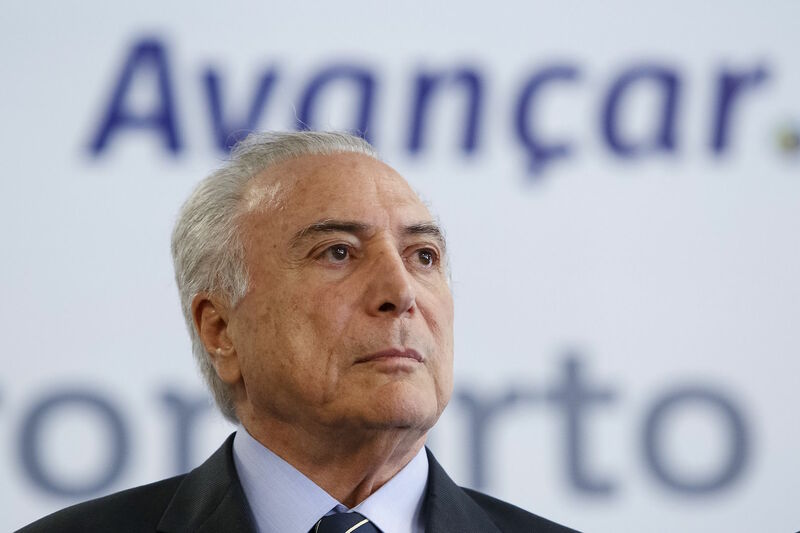 RIO DE JANEIRO, BRAZIL – Former Brazilian President, Michel Temer was granted a habeas corpus on Monday and spent his first night at home since his arrest last Thursday. Temer flew from Rio de Janeiro to São Paulo early Monday evening after Judge Ivan Athié ruled that the main reason for the arrest was not valid. Former President Michel Temer was released yesterday from federal police headquarters in Rio, photo by Alan Santos/PR. “They (Temer and former Rio de Janeiro governor Wellington Moreira Franco) no longer hold public offices, where they allegedly practiced illicit actions,” explained Athié in his decision. “Therefore, the main reason for the decision (to arrest Temer) simply does not exist,” concluded the judge. Brazil’s ex-president was accused of receiving bribes for works at the Angra 3 Nuclear Power Plant. Due to his former position as president, Temer was held in a room at the Federal Police headquarters in Rio de Janeiro. The judge’s decision did not only release Temer but a former Temer’s cabinet member, Wellington Moreira Franco, as well as six other people involved in Operação Descontaminação (Decontamination), which is part of the bigger Lava Jato (Car Wash) corruption scandal. In addition to the ‘Decontamination’ investigation, Temer is named in nine more investigations. Four are in the Federal Court in Brasilia, including the case of his former adviser, Rodrigo Rocha Loures, filmed by police receiving a suitcase with R$500,000 from former executive at the J&F group, Ricardo Saud. According to the Public Prosecutor’s Office, the money would be to bribe Temer.